Graphic Design Studio redesigned Rohn T. Stark’s real estate website to offer users an inviting digital experience more in line with today’s popular real estate websites. 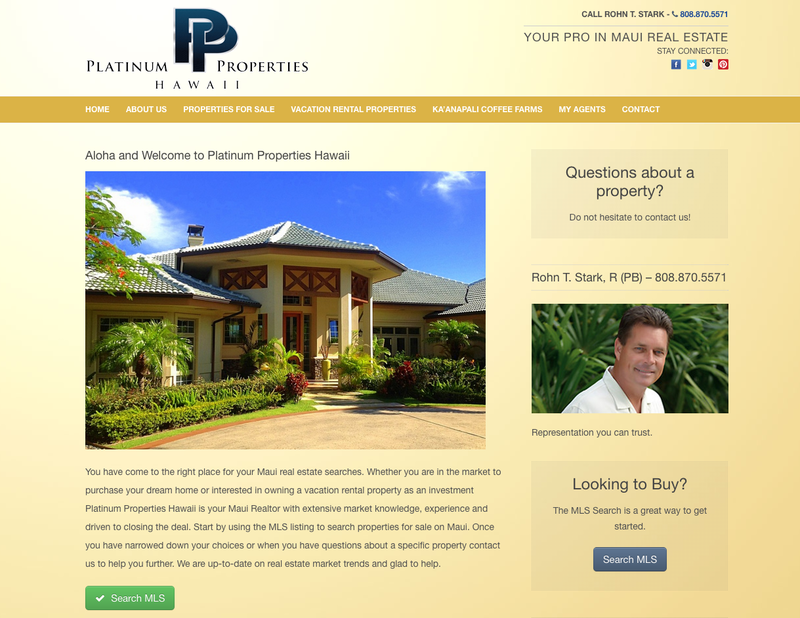 To help empower clients in their purchasing decisions, it was important to enable users to easily navigate the site, browse the listings of properties for sale, access the MLS search, and view vacation rentals under management and listings by Platinum Properties Hawaii. All in an effort to encourage clients to visit (and revisit) a realtors website and help them find their dream home on Maui.